Last week, as I was driving back from Atlanta to Chicago, I got to encounter a thunderstorm. Driving along the highway, the mobile was going abuzz with warnings. When I pulled over to check the same, it was the weather warnings suggesting to take cover. Luckily there was a rest stop near by to take shelter. In a few minutes, the showers stopped, allowing to capture this. The setting sun added drama to the scene. 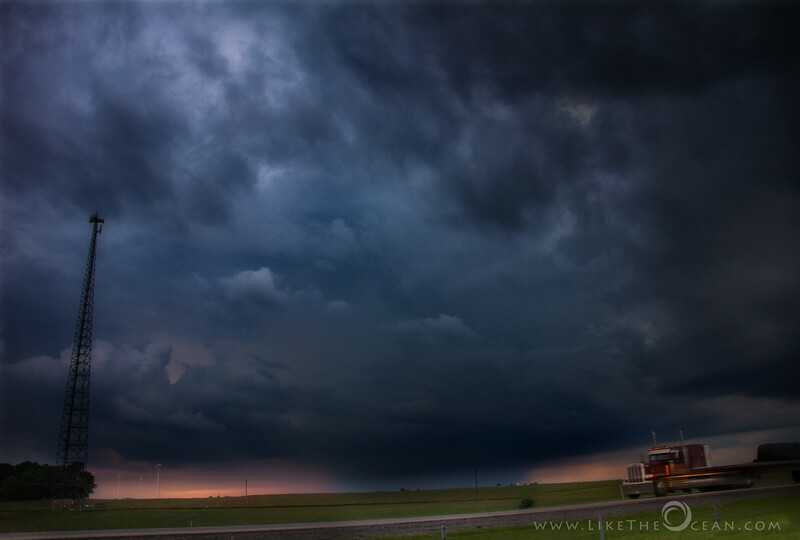 Maybe someday, will make time to plan and chase some storms. Witnessing the power is one, in addition, the light during extreme weather is just magical.